Canna Kitchen’s storefront in a small light-industrial park. Last Friday I looked up Canna Kitchen, a business that has operated — with a city of Albany land use permit in the form of an approved site plan — for two years on Ferry Street S.W. But now it is caught up in the drive by four city council members to ban medical marijuana dispensaries for up to a year. It’s not easy to spot Canna Kitchen & Research LLC from the street. No garish signs. I drove by twice before I zeroed in on the address, one in a row of light-industrial shops. Rhea Graham runs the business, which helps people with medical marijuana cards turn their plant material into other products such as ointments, capsules, tinctures and sprays. Strictly speaking it’s not a dispensary because it does not sell marijuana. Card holders bring in their own product to be converted, and the company says it charges only what it costs to do so. But it applied for an Oregon dispensary license anyway and closed on March 1 pending the arrival of the state’s OK. Meanwhile some helpers have been building a strong room and installing security as the state requires of dispensaries. “It’s as though we were storing gold,” Rhea’s mother remarked. Councilman Bill Coburn has served notice that he wants Canna Kitchen to be exempted if the council goes ahead and bans dispensaries for a year, which four members said they want to do when they vote on April 9. It may be a challenge for the city to ban some medical marijuana businesses and not others. The council is likely to discuss this at a work session April 7. The article/link below goes to the heart of it methinks. 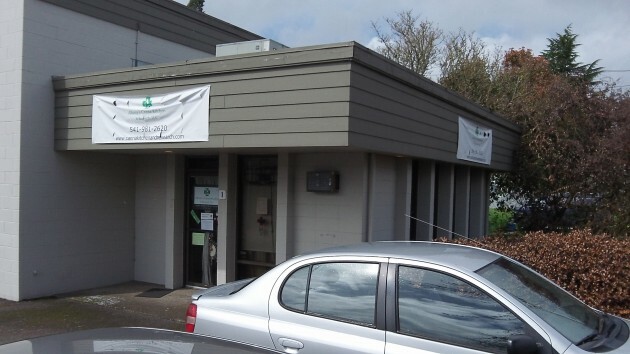 Since Oregon has legalized dispensaries as of about a week ago, the news media has been all over the story – and before too! You would think that because of the media reaction to the stories the past several weeks/months *IF* there was an increase in crime due to them opening, it would be plastered all over the news. There has been *no* news in that regard I am aware of… Why not? I would suggest that it is simply because there has been *no* problem. What are we afraid of? I wouldn’t expect to see an increase in crime in a weeks time even IF there were dispensaries ACTUALLY operating. I don’t think the cities/counties need a year to figure out how to harass them. I guess one just needs to open one in a dilapidated downtown building and ask for CARA funds and the city would be all over themselves trying to get it done.